We are manufacturer of Jacquard Loom Spare Parts. We can also customize product as per customer’s requirement. Pioneer in the industry, we are engaged in manufacturing, trading and supplying an impeccable range of Bonas Jacquard Belt. Quality being the ultimate aim, we offer world-class range of Module Magnet Jacquard Spares that are abrasion resistant in nature and ensures high shear strength. They are performance oriented and come in standard configurations. Module Magnet Jacquard Spares are well-tested on standard parameters before the final delivery. 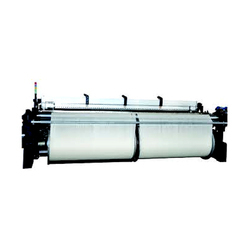 Rapier Loom Electronic Jacquard Chinese Loom Spare Part. 8 Staubli CX860 1344 hooks JC3 controller 1994 model year Price : 4.500 euro Loaded to container net to us 12 Staubli CX 880 2688 - 2400 hooks JC5 controller 2001 model year PRICE EURO 12500 EACH C & F 6 Staubli CX 860 2688 hooks 1995 model year JC4 controller Price : 11.000 euro Loaded net to us. 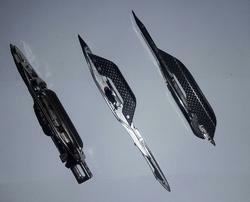 Needles for double jersey, single jersey and all types of jacquard knitting machines available. We import and stock electronic stauble jacquard module , model m4 & m5with & without bearing. We are leading manufacturer of Jacquard Bonas Pulley and other textile spare parts based in ahmedabad.